The ClariWash Self-washing Filtration System provides centralized water treatment for use in development or disaster response. It is comprised of a self-washing clarifier and filter system to purify water and provide centralized treatment to communities. 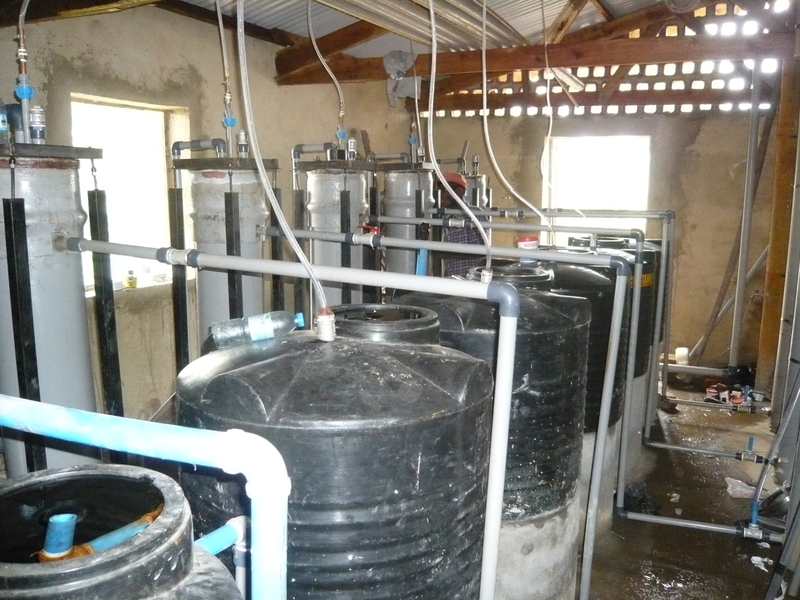 A single modular unit can provide water treatment for 1300 people at 15 L/person/day. The system is replicable and scalable and requires no power supply to operate. A modular version for rapid deployment can be locally assembled in a workshop setting, and does not require a manufacturing process. Alternatively, units can be made in the UK and exported to the site/country required. The backwash system has no moving parts and requires no external power, therefore it requires no operator intervention to facilitate backwashing. Both the tube settler and filter are washed in the same wash cycle. No chemicals are used (dependant on water quality) other than chlorine tablets. Pressure filtration nominally at 10m/h but adjustable to suit water quality. Advanced filtration media for best water quality although filter sand can be used. The system utilises a siphon to reverse flow & backwash the filter. A full diagram of the system is shown under Additional Information below. The system has been developed over the last few years from an initial concept to small scale models and then a University test rig. Based on these trials six filters were installed in January 2017 to supply a community in western Uganda. 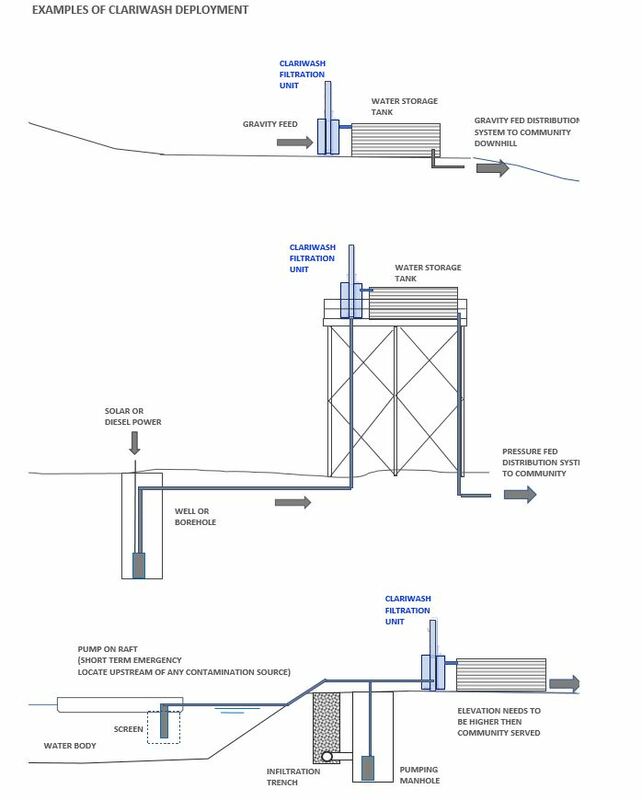 The system design has been enhanced to incorporate a tube settler upstream of the filter and modified to a modular format to allow rapid deployment. It is relatively early stage technology.